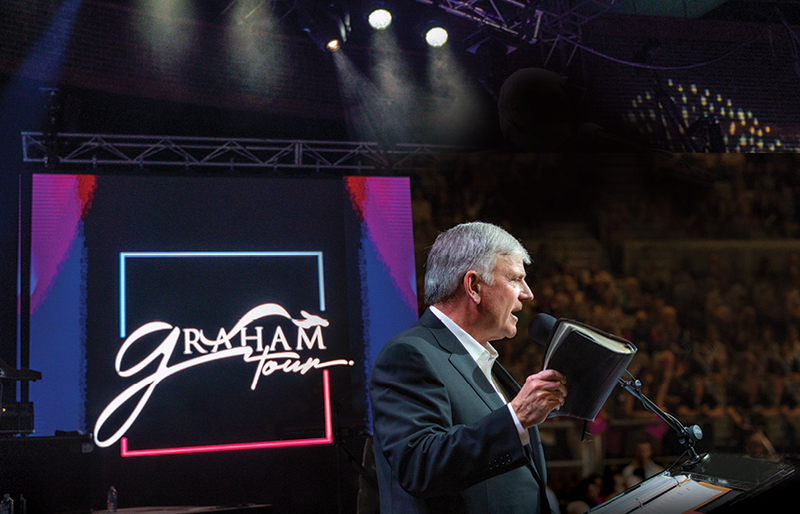 You prayed for the Graham Tour, and it is exciting to report to you that God did a great work across Australia. To Him be the glory! The thing that impressed me about Australia is how beautiful and clean the cities are. It struck me as soon as we arrived. Yet the need of the human heart is the same in Australia as everywhere in the world – to be set free from the darkness and filth of sin. Thousands of friends like you witnessed the power of the Gospel at work across the continent, and we thank God for transforming hearts and lives at all seven events in six cities. The next city, Darwin, is the smallest of the capital cities. Within a radius of 320 kilometres around Darwin, only about 2,000 people attend church. But there’s a hunger there in the hearts and souls of men and women. I arrived at the Darwin Convention Centre about two hours early, and there were only a handful of people waiting for the gates to open. When my friend Dennis Agajanian got up to begin the event with his guitar, there was a light crowd. But by the time the Planetshakers took the stage, the arena that holds 3,000 was jammed and extra chairs had to be brought in! That night, 346 people came forward to repent of their sins and trust Jesus Christ by faith. That’s like adding 17 per cent to the church in that area in one night. To God be the glory! The pastors were so encouraged. Pray for those who made decisions. The local churches will follow up with each one, answer their questions and help them grow in the faith and their walk with God. In Adelaide, the fifth stop, the crowd was more than Titanium Security Arena could handle. 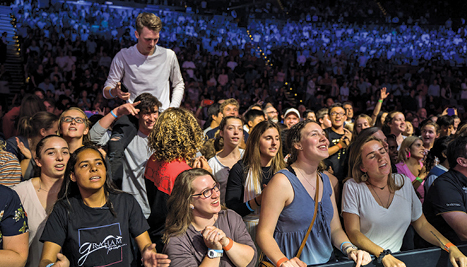 Many responded to the Gospel – including some of those who couldn’t get in and watched on a large TV screen outside. A mother named Finda had believed in God for a while and, in the last year, even started taking her boys to church. On this night, though, she felt God inviting her into a personal relationship with Him. “It was time to ask God for forgiveness,” she said later, adding with a big smile, “I feel lighter.” Her 10-year-old son also responded to the invitation to accept Christ. 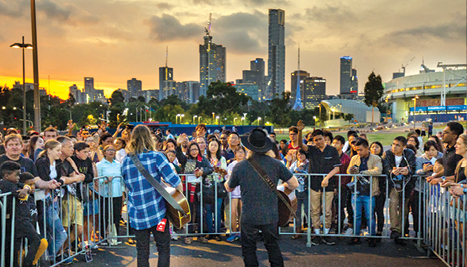 Many Christian believers I met in Australia had become discouraged because of the secularism they see spreading in their communities along with various threats to religious freedom. Many had just given up – why fight? Well first of all, we didn’t fight. I simply proclaimed the truth of the Word of God. The Holy Spirit took the Word, which the Bible says is “sharper than any two-edged sword” (Hebrews 4:12, ESV), and used it to pierce people’s hearts. I don’t understand the power of the Gospel, but I know that it works. The Gospel doesn’t need help – just proclaim it. God does the rest. I encouraged the churches and pastors to stand firm, never concede and be what Jesus described as “a city set on a hill [that] cannot be hidden” (Matthew 5:14). Jesus said, “In the same way, let your light shine …” (Matthew 5:16). 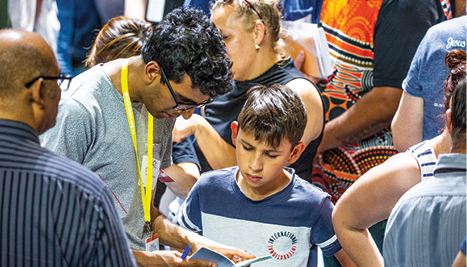 God is working throughout Australia, and the Billy Graham Evangelistic Association wants to be part of what He is doing there in the months and years ahead. We’ll continue to actively partner with the churches and with believers like you, to bring lost and wandering hearts to Christ. I will be coming back in the future for more evangelistic outreach. We are also exploring ways to use TV and radio to help share the Gospel across the country, and we will continue providing evangelism resources to churches and believers. We praise God that during the months leading up to the tour, over 11,000 people took Christian Life and Witness training. Those men and women are a powerful resource for the churches, and we want to be sure they and their churches have what they need to continue sharing about Jesus. 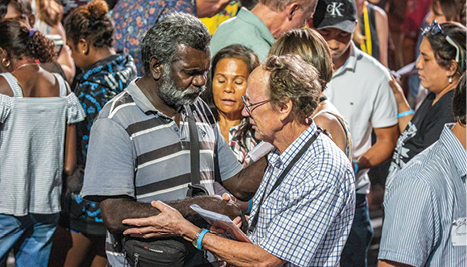 Crisis-trained chaplains on the Billy Graham Rapid Response Team will continue to minister in the aftermath of major disasters in Australia, just as they did for the Townsville floods. In this and any other ministry, we will always “do all in the name of the Lord Jesus” (Colossians 3:17, NKJV) with the goal of sharing His Gospel. So many in Australia, just as in the rest of the world, still need Jesus. Time is short – the Lord is returning soon. We “must work … while it is day; the night is coming when no one can work” (John 9:4). There’s a lot of work to do, and you are part of this. We need your prayers and your support. Gifts will be used in the work of the Billy Graham Evangelistic Association in Australia and New Zealand. 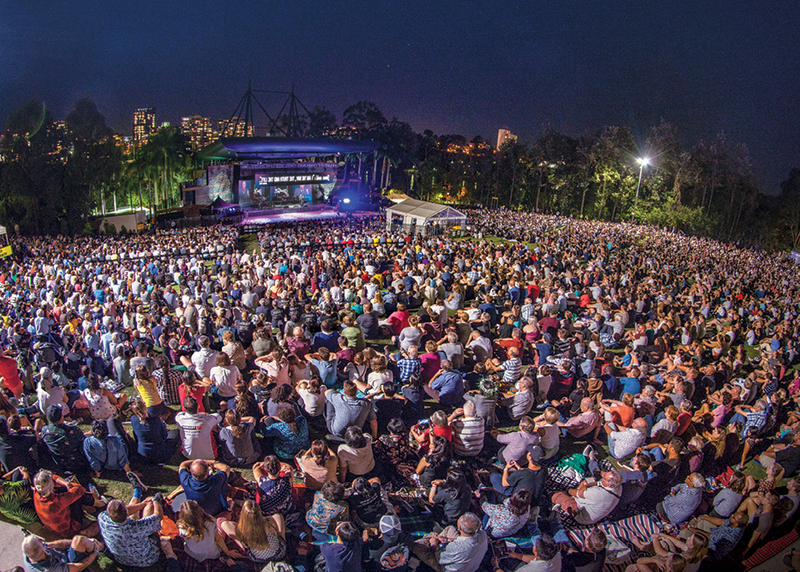 If you would like to financially support the Billy Graham Evangelistic Association in Australia and New Zealand, please click below.